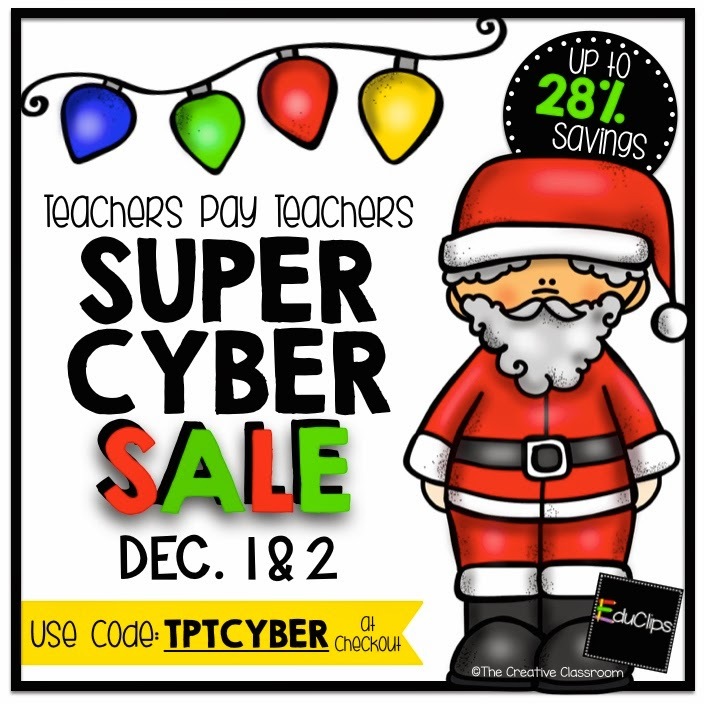 It is Cyber Monday...and Tuesday on TPT! Check out my store for great deals on all my products! Don't forget at the check out you will receive an extra bonus if you use the code TPTCYBER! Have fun shopping...Start by clicking Here To Go To My TPT Store!